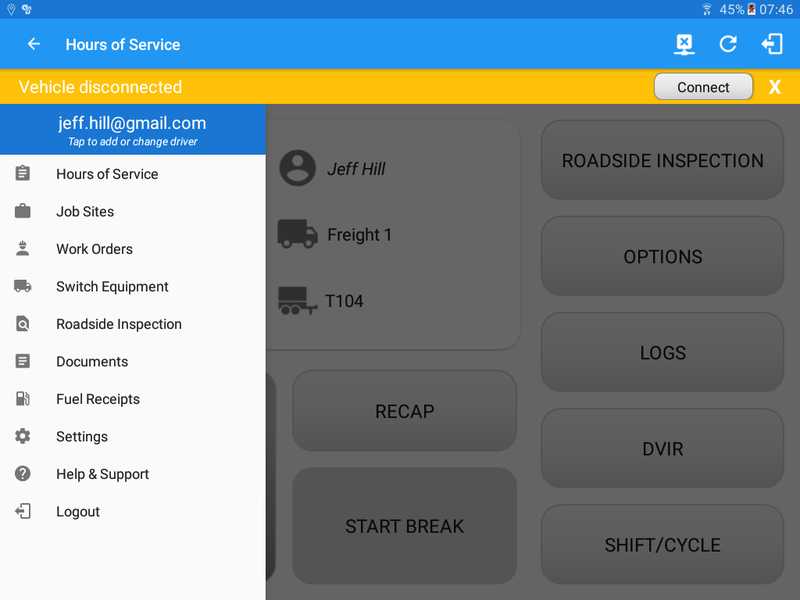 The Document’s feature provides an easy way to capture and view documents related to hours of service activities. This includes documentation such as bill of lading, accident photo, etc. Swipe in from the left edge of the screen, or tap the Main Navigation Hamburger icon to show the main navigation menu. 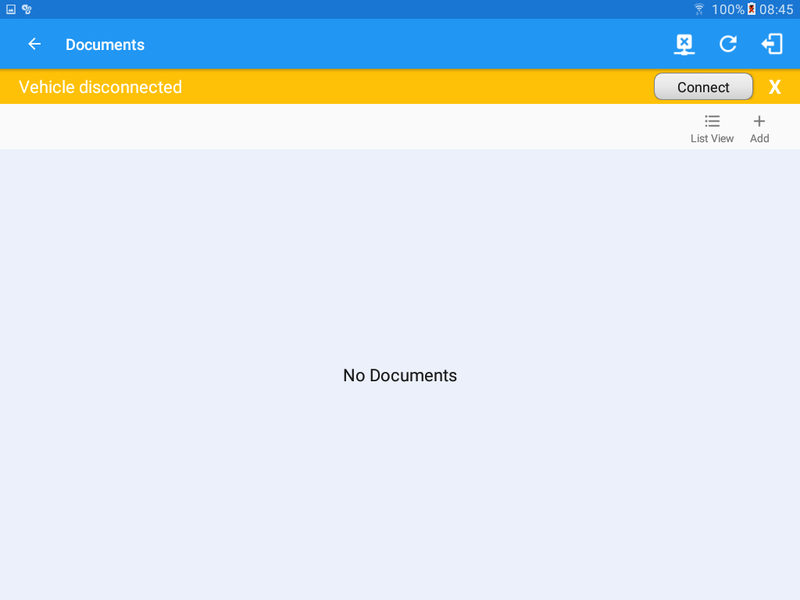 Tap the Documents option in the Main Navigation Drawer, after which the documents screen will then be displayed. 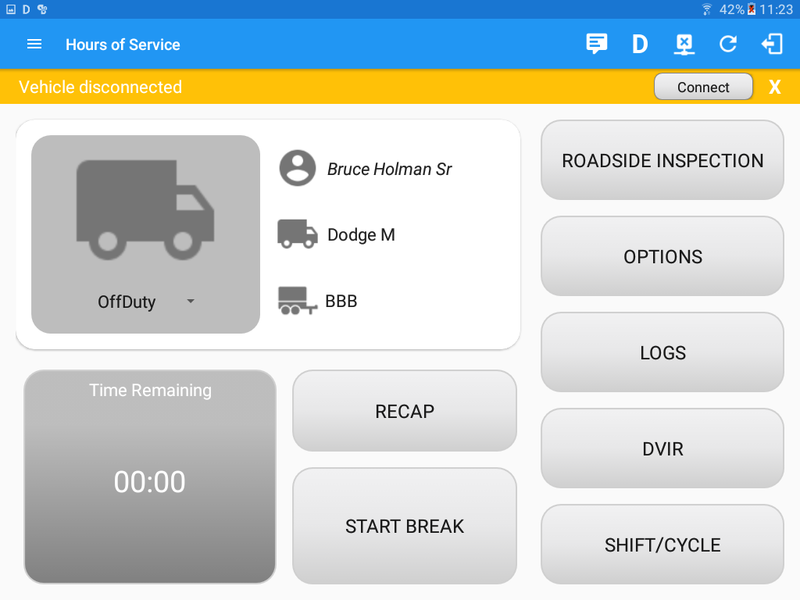 Go to Hours of Service Main Screen. Tap the Add Document button. 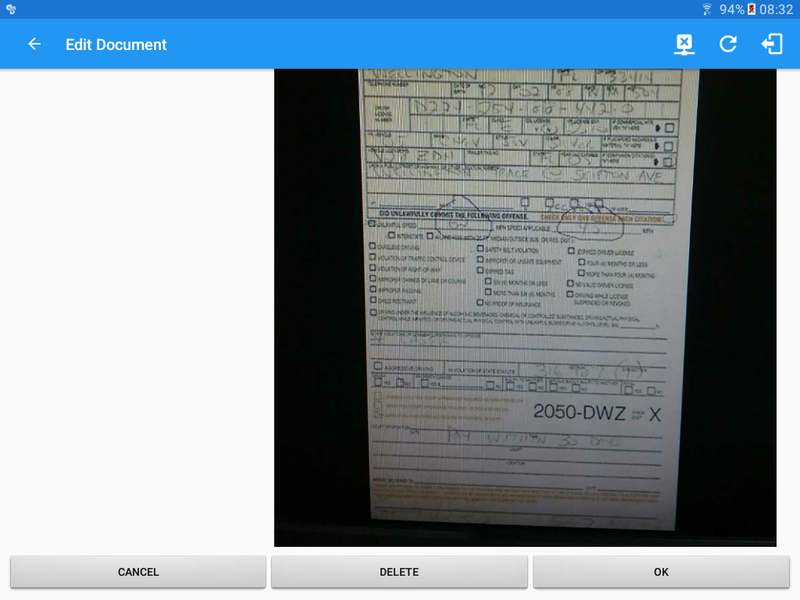 After which the Documents screen will then be displayed. Tip: You can change the documents’ view to either “List View” or “Grid View”. 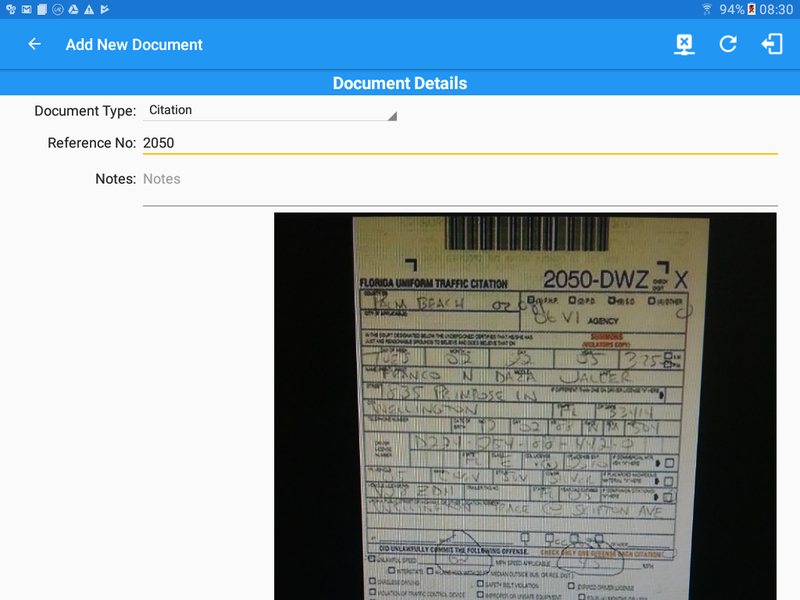 The camera app will then appear to take a picture of the document. After tapping the Capture Image button, select the Check mark button to save the image and add it to your document. You can also discard the captured image by selecting the X mark button. 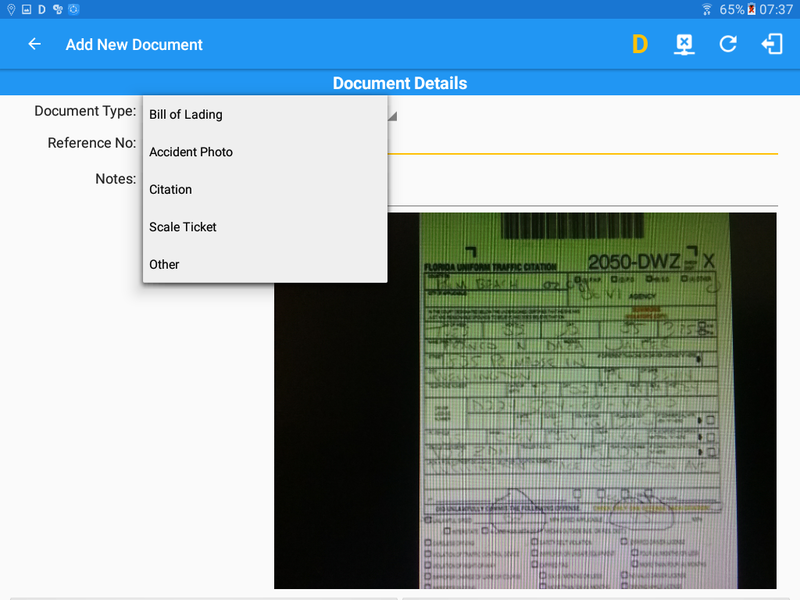 Select what type of document you wish to report by tapping the Document Type drop down list. Fill in your reference number in the Reference No. field. Fill in the Notes field for your notes/remarks. 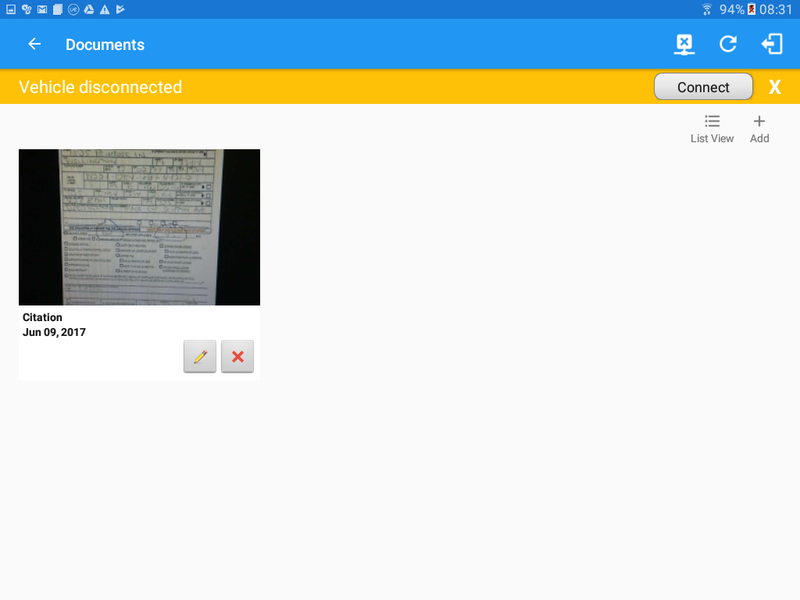 After filling in all the fields you can now tap the button to successfully add the document. You can also tap the button to cancel adding the document. Tap the Edit button of a specific document. You can update the appropriate areas on the Edit Document screen. Tap the Ok button to save the changes you made in the document. Tap the Cancel button to cancel modifying the document. You can also delete the document by tapping the Delete button. Tap the Delete button of a specific document. 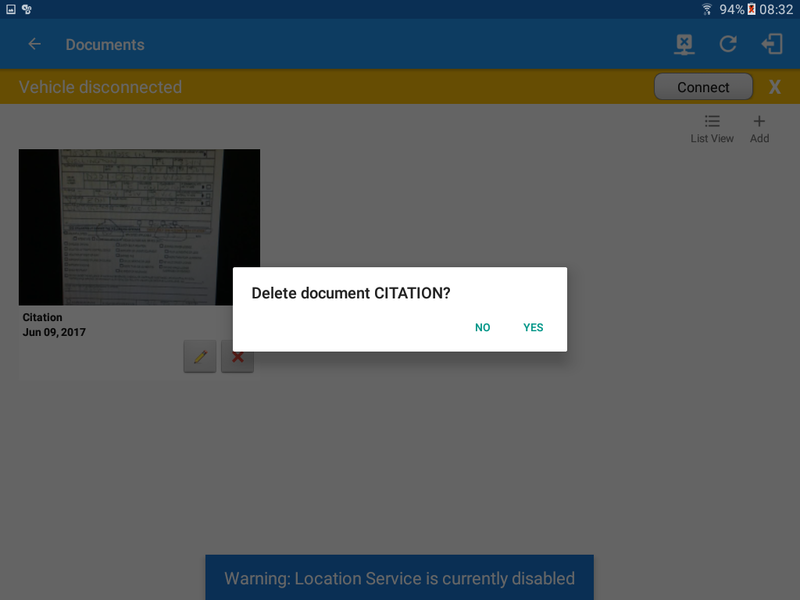 A message dialog will prompt asking for a confirmation either you want to successfully delete the document or not. Tap the Yes button to successfully delete the document. You can also tap the No button to cancel deleting the document.